What would you like to do this holiday season? How about a ski vacation? But, what do you do if you love to ski, but don’t want to drive and or lug your own ski equipment everywhere. Fortunately, we found a ski area that is easy to reach by public transportation. Park City, Utah is 32 miles (51 kilometers) southeast of downtown Salt Lake City. Once you arrive, the town’s free bus system and a compact downtown make it easy to get to the slopes, shopping, or anywhere else you want without needing to drive. For that reason, this month’s Car Free Journey will spotlight Park City, Utah. Park City began as a mining town in the nineteenth century. The finding of silver, gold and lead in the 1860s led to the first silver mine there. By 1892 the Silver King Mine and its owners Thomas Kearns and David Keith took the spotlight as one of the most famous silver mines in the world. Silver mining made the town’s Main Street a hot spot for entertainment. 47 buildings from that era area are currently on the National Register of Historic Places, making for a truly charming downtown. However, the city nearly became a ghost town by the end of the 1950s because of a drop in the price of silver. Unfortunately, the town was nearly destroyed by fire in 1898. Tragedy struck again in 1902 when 34 miners were killed in an explosion in the Day West Mine. The silver industry was suffering greatly, and the Park City mining community looked for another source of revenue. The miners presented a proposal for a ski resort, called Treasure Mountain, to Utahn Inc. This ski resort opened in 1963, and ended up saving the town. This is when tourists first began to visit Park City. Since 1963, Park City has become famous as the home of the 2002 Winter Olympic Games. The town has several ski resorts, and is now the home of the Sundance Film Festival (held in January every year). It is unusual because it is a popular ski destination that is easy to reach without a car. Salt Lake City International Airport is a hub for Delta Airline, and is an important stop for Southwest, United, American, Alaska, Frontier and Jet Blue. There are more than 600 daily departures and arrivals from 80 domestic destinations, and another 120 arrivals and departures from 11 international destinations served by Delta, Air Canada, and KLM. From the Salt Lake City International Airport, take the Utah Transit Authority’s (UTA) Green Line west to Arena Station. From Arena Station, take UTA’s Blue Line North to Salt Lake Central Station. The Amtrak train station and Greyhound bus terminal are also located at Salt Lake Central Station. On weekends, the 902 makes two trips to Park City in the morning, and two return trips in the afternoon. A more expensive alternative (especially good for weekends and off peak weekday hours) is All Resort Express’ shared ride service ($39 for one person or $68 for 2 people) from the airport to Park City. If you are staying in Salt Lake City, you can also use the shared ride service from one of the following 3 hotels: Marriott City Creek, Marriott City Center, and Marriott Courtyard. For reservations and more information visit www.allresort.com, or call toll-free (800) 457-9457.
and Washington School House http://www.washingtonschoolhouse.com/ (located on Park Avenue). 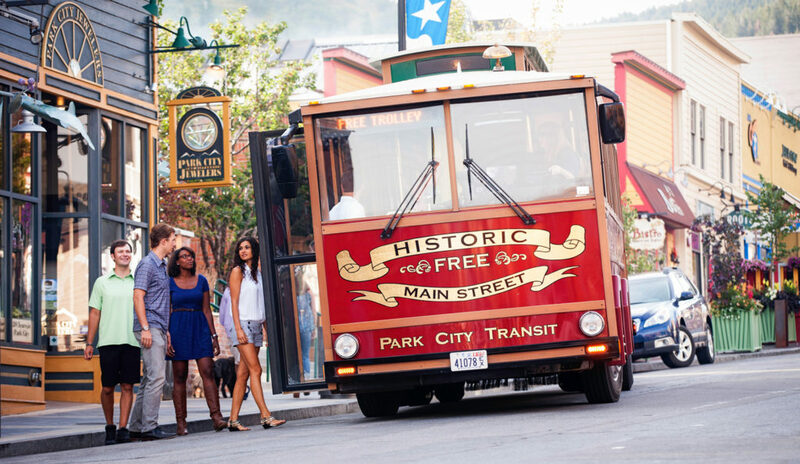 Park City’s historic Main Street is a great place for shopping, dining and other entertainment. Other good areas for restaurants and entertainment are the Canyons Village area and Kimball Junction. Both of these areas are easy to reach on the city’s free bus system. Park City Transit can get you nearly any place you want to go. 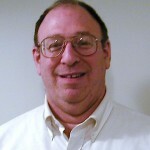 For more information, visit http://www.parkcity.org/departments/transit-bus or (435) 615-5301 Monday-Friday: 8 a.m.-5 p.m. The city also operates a free trolley along Main Street. Every transit route stops at Park City Mountain, Deer Valley and Main St. You can find a list of what transit route(s) serves what destination by going to http://www.parkcity.org/home/showdocument?id=8399 and looking for Park City Destinations on the upper left side of the map. Park City Mountain has the distinction of the largest lift-serviced terrain in the USA and is ideal for both skiers and snowboarders. It has two ‘villages’ at its base – one is called Canyons Village and one is called Park City. The resort also operates a ‘town lift’ that delivers skiers directly to the historic Main Street of Park City. The free bus system takes visitors to Silver Lake, Snow Park and Empire Pass where Deer Valley lifts are located to access Deer Valley ski resort’s mountains. Deer Valley Resort is consistently rated at the very top of the rankings for grooming, on-mountain dining and service levels and it is one of a handful of resorts in America that does not allow snowboarding (a ski-only resort). It has three ‘villages’ – Empire Canyon is located adjacent to Montage Deer Valley, Silver Lake is located adjacent to Stein Eriksen Lodge, the Chateaux and Goldner Hirsh lodges and Snow Park is located adjacent to St. Regis. Each year in late January, the Sundance Institute hosts the annual Sundance Film Festival, a 10-day event held in Park City, that is considered to be one of the top three film festival’s in the world. Sundance Institute also hosts free community programs throughout the year. For details and the 2017 schedule, visit http://www.sundance.org/festivals/sundance-film-festival/ . You can enjoy last year’s Sundance Film Festival favorites every Friday, Saturday, and Sunday evenings at the Park City Film Series, held in the local public library. Even if you are a diehard ski enthusiast, you may want a break. One idea is to take the Utah Transit Authority’s (UTA) bus 902 to Salt Lake City, and then take some time to explore the city and its many attractions. An affordable way to enjoy the city’s 13 most popular attractions is to purchase the Connect Pass. The cost for the Connect Pass ranges from $32 for a single day to $90 for a full year. For more information, go to http://www.visitsaltlake.com/things-to-do/connect-pass/. To get to each attraction, you can either take UTA buses or light rail, or (from April-October) buy a daily pass on US Bus Utah. US bus Utah offers daily hop-on, hop-off service to 10 of the venues (Snowbird, Thanksgiving Point, and the Utah Olympic Park are excluded). Service can be included with the Connect Pass as an optional add-on for an additional price (seasonal – April-October). Stops occur at each location every 45 minutes. The US Bus is a fun, flexible way to get around the city and put your Connect Pass to use. For more information about the US Bus, visit http://www.visitsaltlake.com/listings/US-Bus-Utah-LLC/59561/. For more information about these and other attractions in Salt Lake City, visit http://www.visitsaltlake.com. For activities and accommodations in Park City, go to: www.visitparkcity.com, or call (435( 649-6100 or (toll-free) (800) 453-1360. For information about Park City transit routes and schedules, visit http://www.parkcity.org/departments/transit-bus or call (435) 615-5301 Monday-Friday: 8 a.m.-5 p.m.
For information about buses from Salt Lake City to Park City, go to www.rideuta.com, or call (801) 743-3882 (RIDE UTA) or toll-free (888) 743-3882 (RIDE UTA).